Facebook has figured out what to do with MSQRD, the popular face swapping app it bought in March. 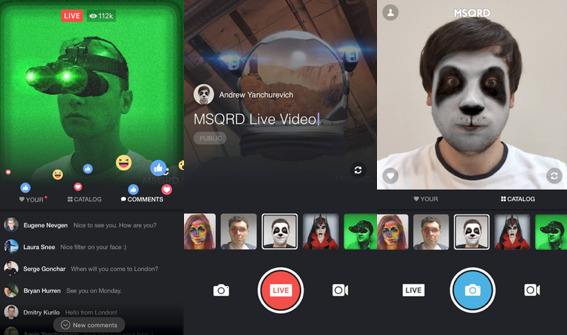 In the coming weeks Facebook plans to let people broadcast live video directly from the MSQRD app — silly face animations and all. You’ll be able to broadcast live video publicly or privately to Facebook from MSQRD and change face masks while you broadcast.